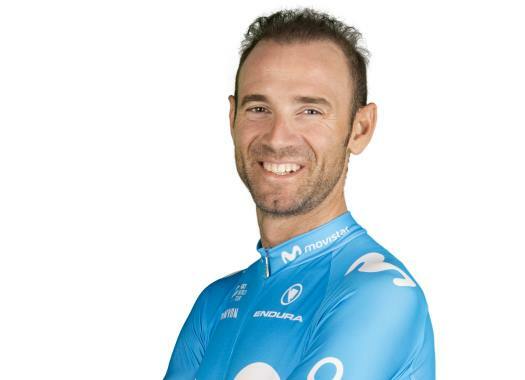 Alejandro Valverde (Movistar) finished the ninth stage of the Vuelta a España one second short to take the lead of the General Classification. The Spaniard arrived to the finish line at three minutes and four seconds from stage winner Ben King but was one second too slow to take a hold on the Red Jersey. "I think it was my best climb to La Covatilla as a professional," he commented. "Plus, there really wasn’t a GC contender above the rest day, rather than small groups and little difference. Should I have been able to maintain that extra intensity for maybe four, five more seconds, I’d have surely stayed with that front group. "I felt good, to be honest. The legs didn’t feel bad at all during the day and neither did during the final climb. However, it was a demanding stage from the beginning and everyone was put into danger at some point. We can just congratulate Yates and stay happy with what we’ve got so far. Valverde insists that Nairo Quintana is the leader of the team and he is going for individual performances. "I’m in second place, 1'' short of the leader’s jersey, and there’s so much left in this race," he explained. "The most important thing is that Nairo was ahead with the main GC contenders. What did we say before the race? The team leader is Nairo. I just came here to get some good results, and I’ve got two stage victories so far. I’d have liked to wear the red jersey, but it will also be less of a responsibility at the front of the bunch for my teammates in this position."